Sophie has performed regularly throughout the UK and internationally from a very young age, studying at Chetham’s School of Music and the Royal Northern College of Music. 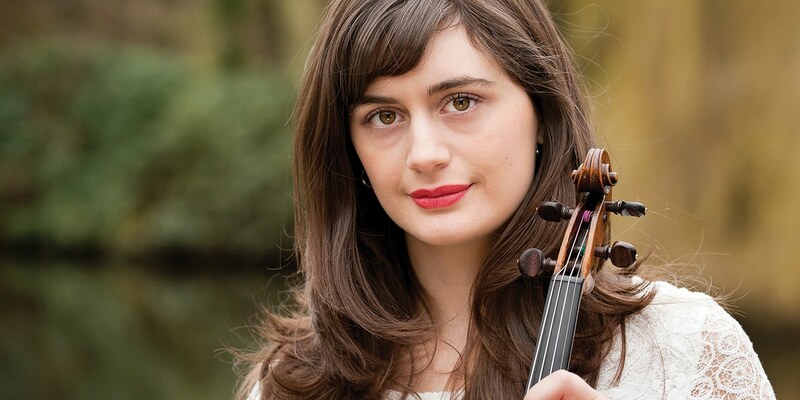 She has performed across the UK as a recitalist in venues including the Royal Festival Hall, the Purcell Room and Bridgewater Hall as well as performing live on air for BBC Radio 3. Sophie has recorded at Champs Hill Records and appeared with the Royal Liverpool Philharmonic Orchestra and the Manchester Camerata. Sophie’s debut album, ‘Rêve d’Enfant’ was released in 2016 on the Champs Hill Records label. We have acquired on Sophie’s behalf a fine 18th century violin by Joseph Gagliano of Naples and a 19th century bow by the French maker Claude Joseph Fonclause. The Gagliano is a joy to play and I felt a personal connection from the moment I first picked it up. An instrument of this calibre allows me to maximise the full range of sound possibilities when interpreting the music. This violin was once owned by the great nineteenth-century violinist, August Wilhelmj and it is very humbling for me to hold a piece of history in my hands. It has made a huge difference to my career and I cannot thank The Stradivari Trust enough for their tremendous help and support.